If you’ve landed here on an iPad or iPhone (and I hope you like the experience) you may be wondering about the new and neat touch experience. 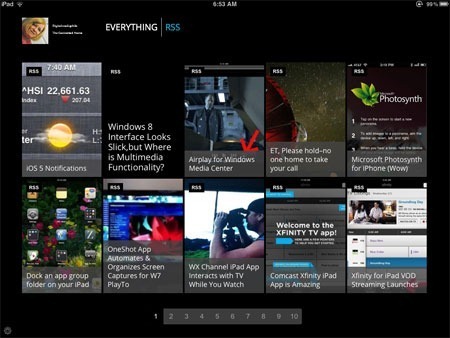 Onswipe now powers this blog for iOS visitors. This is a different Onswipe experience than the WordPress plugin released a while back that can be activated for wordpress.com users and installed as a plugin on self hosted WordPress blogs. I’m using a much fuller publishing platform with more user customizable options. If you are not using an iOS device, the image above shows how the site is displayed on an iPad. 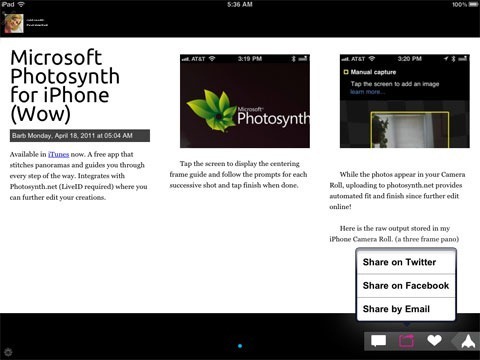 iOS Touch users can swipe to display more pages, or select an individual entry tile to display a magazine formatted page. Touch an image to bring up a full view, or select an icon on the bottom of the page for more options. At any time the icon in the lower left hand corner allows the user to select an option to view the full desktop version. There is lots more functionality, such as once in article view, swiping will move between articles. Why am I so excited about this? Barb Bowman’s online presence is more than just a blog. In fact I have a few blogs and websites that each represent a different segment of my online/offline life. Barbbowman.net is my photography site and barbbowmanphoto.wordpress.com is my photoblog (currently this uses the WordPress plugin). When the full Onswipe platform launches, I hope to add the photo feed to the same Onswiped site that currently only displays my blog and other content that I have online. I will become my own content aggregator/publisher. Mobile visitors will see a menu and be able to selectively view content (or view it all). Onswipe has enabled a few major publishers like Marie Claire and Slate, and if you visit those sites on an iOS device, you’ll get an idea of what I hope to do with my online presence. While I’ll never be a major publisher like these folks, I will be able to aggregate everything about Barb Bowman in one place for mobile visitors. And I think it will look awesome. My thanks to the folks at Onswipe for enabling me to preview this publishing platform.